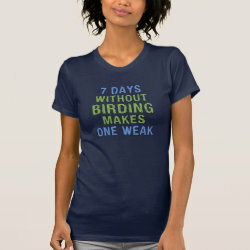 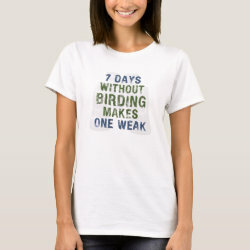 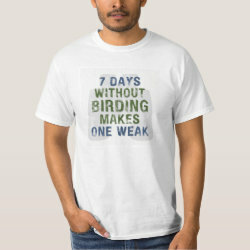 This fun text design for birders and birdwatchers reads "7 DAYS WITHOUT BIRDING MAKES ONE WEAK". 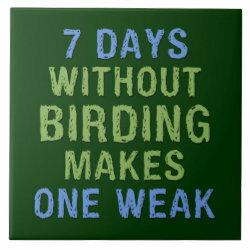 Everyone knows, the longer you go without birding, the More... weaker you get. 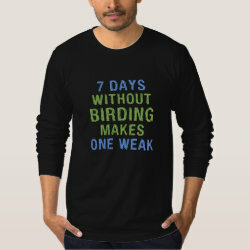 Birder logic. 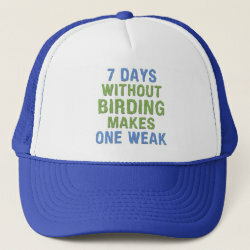 This makes a fun gift idea for any birder! 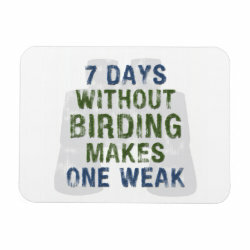 On light products the image is backed by the silhouette of binoculars and the overall design has been distressed for a vintage look.